California home builders will be particularly busy this year gearing up for the 2020 mandates requiring all new single-family homes to include solar. While the state has certainly taken the lead in pressing forward with policies that require renewable-based energies, there is a national focus on both solar and battery storage as real solutions to climate change. Other states are expected to follow California’s lead and adopt similar mandates and incentives. We are indeed at the cusp of a new generation of intelligent energy partnerships, production, and use. This new paradigm is a win-win not only for home builders, but also for energy providers, people, and the planet. Technological gains in renewable energy products and processes such as artificial intelligence continue to drive down costs and improve the production, consumption, and management of renewable energy resources. Thoughtful legislation to reduce greenhouse gases at the local, state, and national levels is creating a new outlook on the future of renewable energy and power production, with solar at the forefront. The United States is a solar powerhouse. We have been consistently building our solar generation capacity over the past 20 plus years, and by the end of 2017, we ranked second in the world behind China. In 2016, 39% of all new electricity generation capacity in the United States came from solar, more than any other source and well ahead of natural gas at 29%. By 2015, solar employment had overtaken the oil and gas industry and the coal industry, and in 2016, more than 260,000 Americans worked in the solar industry. We as a nation are ready for more solar, and the building industry must be ready too. California’s net zero mandate leads the way. California has been a leading proponent of solar power for the past decade, with its goal of reaching net zero energy usage by 2045. Committed to the long-term use of solar power, the California Energy Commission took a major step toward achieving that goal in May 2018 by adopting a policy called the 2019 Building Energy Efficiency Standards. This policy will make solar energy systems required on virtually every new home built in California starting in 2020. California’s net zero mission dates to 2007, when the Energy Commission first adopted the goal to make home building so efficient that “newly constructed buildings can be net zero energy by 2020 for residences and by 2030 for commercial buildings.” Under this early policy, solar energy was considered one component of building more energy efficient homes—but solar was not required. The new solar mandate applies to virtually every new residential dwelling that secures a building permit after January 1, 2020. PetersenDean Roofing & Solarworks with some of the largest home builders across the nation, so we will be working closely with our clients to help transition into the 2020 solar mandates. Energy policy is becoming a national conversation. Meeting 100% of the power demand in the United States through clean, renewable, and zero-emission energy sources. Upgrading all existing buildings in the United States and building new buildings to achieve maximum energy efficiency, water efficiency, safety, affordability, comfort, and durability, including through electrification. Building or upgrading to energy-efficient, distributed, and “smart” power grids and working to ensure affordable access to electricity. In each of these elements, solar power would play a critical role. As alternative-energy policies become more prevalent in states across the United States, builders must be in tune with structural design requirements and implementation techniques that optimize the performance of solar products. Get the right solar expertise in place. How can builders best prepare themselves for the incoming surge in solar? Builders will need to keep abreast of solar technology advancements and integrate those advancements into their offerings. 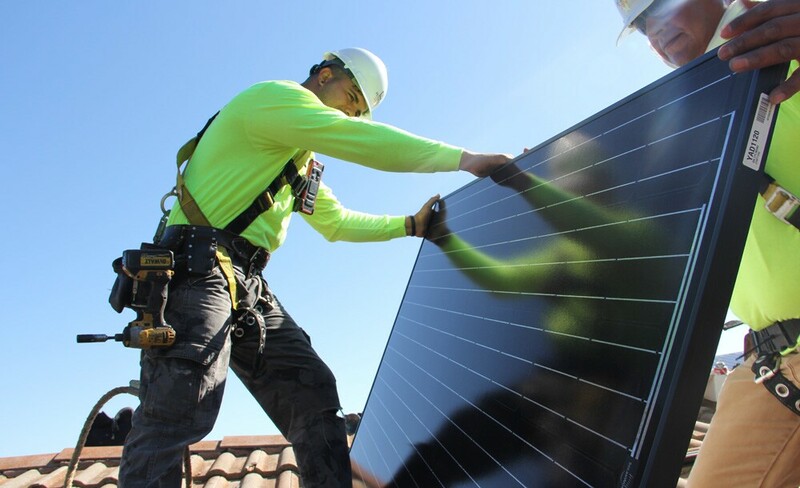 They will also have to find new ways to work with contractors and other vendors to ensure they have trained and experienced workers so that homes are properly designed and built to optimize solar. While most larger builders have their marketing and sales professionals well educated about solar power, medium and smaller builders may not be as well equipped. To fill this void, it would be smart for these builders to affiliate with solar energy consultants or product providers to acquire the knowledge and create the necessary programs. Their marketing and sales staffs will need to be fully informed about solar products and performance. Of course, builders are concerned with the costs of a solar system included in the home, but because this is required, it keeps them all on a level playing field in California. As other states mandate solar, the same will apply. Builders will also need to be prepared to articulate and communicate the benefits to home buyers so they understand and appreciate the value of solar, because they will have a lot of questions. Solar is not simple, so everyone in the builder organization should have a high level of general knowledge about solar products and what differentiates one product from another, as well as such specifics as structural dynamics, costs, benefits, and the systemic effects of location and weather. This knowledge base not only enhances the marketing and sales proposition, it also improves a builder’s expertise in solar planning, budgeting, and construction. The more you know, the better for your company and your customers. Builders most certainly will work through these issues. We believe solar will open new doors of opportunity for the home building industry and create new demands for competition and market positioning. Builders who can demonstrate expertise in all aspects of solar and related systems will have a significant competitive advantage over builders who are not as well prepared. For those builders who are ready for the solar future, new avenues for growth and good work are on the horizon. By establishing in-house expertise in solar systems and technology or by aligning with outside solar consultants, builders should be taking meaningful steps right now to prepare for the future. Being solar smart can substantially boost marketing programs, promote sales, and add to the bottom line. It’s not just home builders. This is a chance for all of us to take a stand for our planet and utilize our most powerful natural resource. Understand that this fight is for our future generations and the prosperity of our society. The good news is that there are solutions. It’s not too late to reverse some of the effects of global warming and change our future. Mark Vogel is president and chief operating officer at PetersenDean Roofing & Solar, builder division. 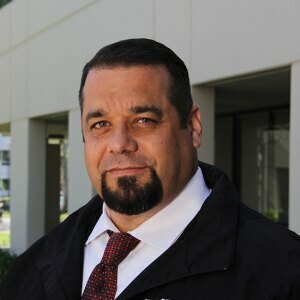 He has over 15 years of experience in the residential and commercial construction industry. Founded in 1984 by Jim Petersen, PetersenDean is the largest full-service, privately held roofing and solar company in the United States. Specializing in new residential and commercial construction, PetersenDean works with some of the nation’s largest builders and developers.